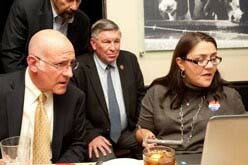 Robert Tendy and Sheriff Don Smith review election results. 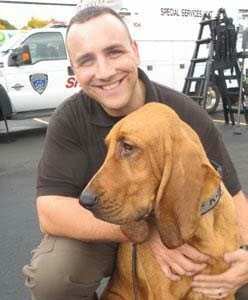 Putnam County will have a new district attorney on January 1st. Putnam Valley Supervisor Robert Tendy defeated two term incumbent Adam Levy on Election Day by 56.8 percent to 42.9 percent o… Please login below or purchase a subscription to the Putnam County Courier to access this content. One quarter of Putnam’s 63,000 eligible voters took the time to ballot on Election Day where races for District Attorney, three seats on the county Legislature and numerous town and village races were decided. 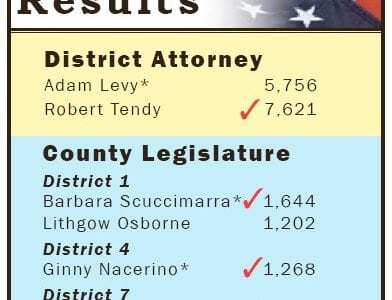 District Attorney Adam Levy lost… Please login below or purchase a subscription to the Putnam County Courier to access this content. 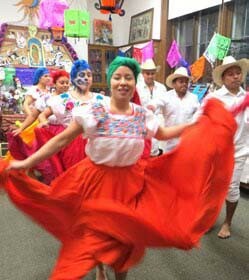 Colorful dancing provided by the Eric Moreno troupe entertains the gathering. A gathering at the historic Putnam Courthouse, a march along Gleneida Avenue past the statue of Sybil Ludington and a celebration at the Reed Memorial Library in Carmel Sun… Please login below or purchase a subscription to the Putnam County Courier to access this content. Kevin and his mom, Kelly, at St. Jude’s Children’s Hospital in Memphis. Two year old Kevin Blackman, diagnosed with Acute Lymphoblastic Leukemia, continues the fight of his young life. 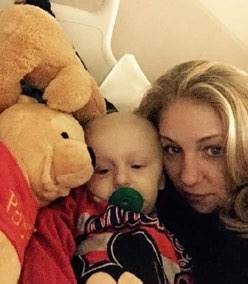 The little boy whose mom, Kelly, and godmother Barbar… Please login below or purchase a subscription to the Putnam County Courier to access this content. 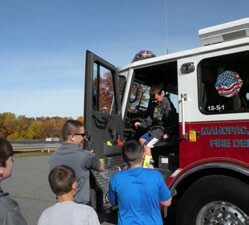 Mahopac FD personnel teach boys and girls about fire safety at the Fulmar Road School. Fire trucks roared up to the Fulmar Road School in Mahopac last week. There was no fire nor any other emergency. 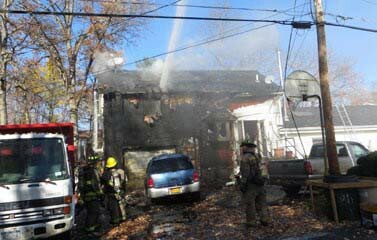 Volunteers with the Mahopac Fire Department under … Please login below or purchase a subscription to the Putnam County Courier to access this content. Autumn in Putnam County is a glorious time of year. At left, downtown Carmel, shot from across Lake Gleneida. 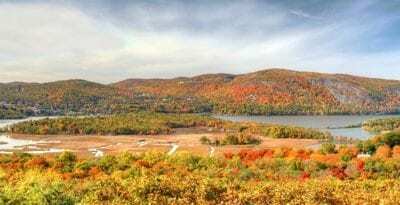 Above, the Hudson River looking toward the western shore, from Garrison. … Please login below or purchase a subscription to the Putnam County Courier to access this content.